For as long as I can remember I’ve wanted to go to The Ritz. 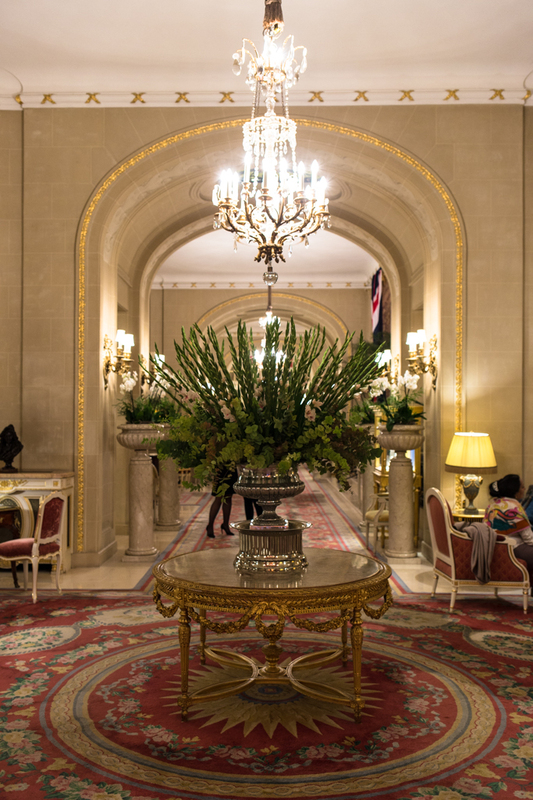 I’ve been to many a fine hotel, but I still believe The Ritz holds the crown for the most luxurious hotel in London. 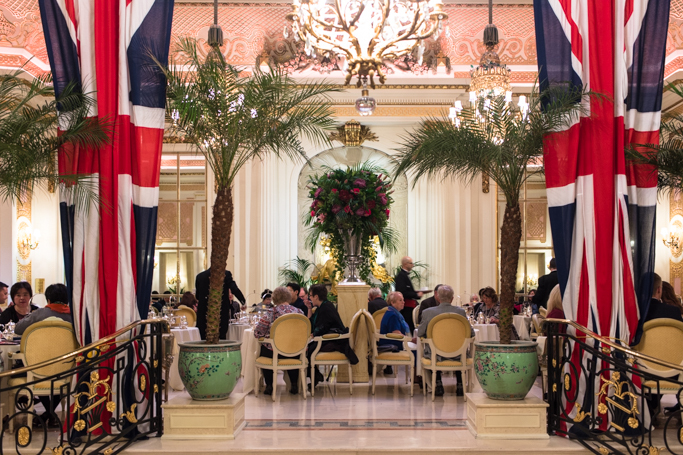 The glamour, the class, and let’s be honest the wealth that surrounds The Ritz gives it an exciting buzz. But most of all for me, it’s the class. 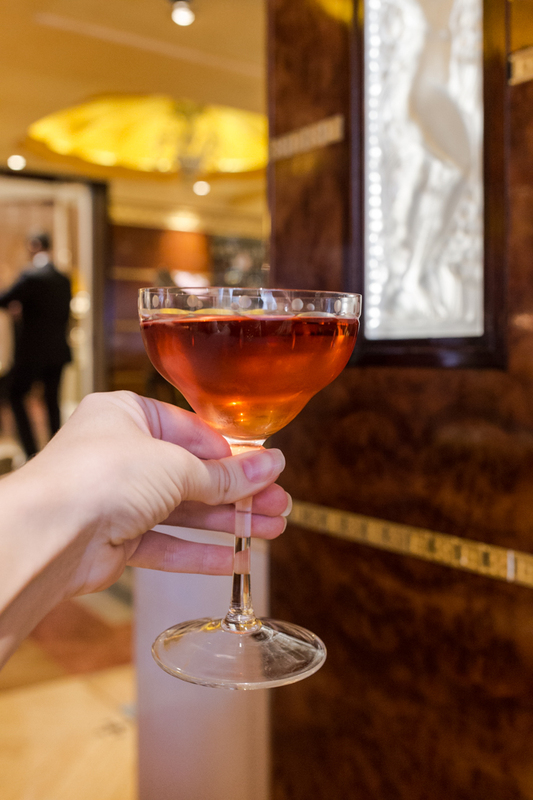 You dress up when going to The Ritz. You mind your manners and make sure not to cause offence. It’s got that old school charm that frankly I love. After deliberating what outfit was suitable for a 4pm drink, I headed on over. Entering, is sort of like taking a step back in time. You leave behind the frankly chaotic scenes of Piccadilly and enter a world that slows right down. Designed in a Louis XVI decor, it is very regal. 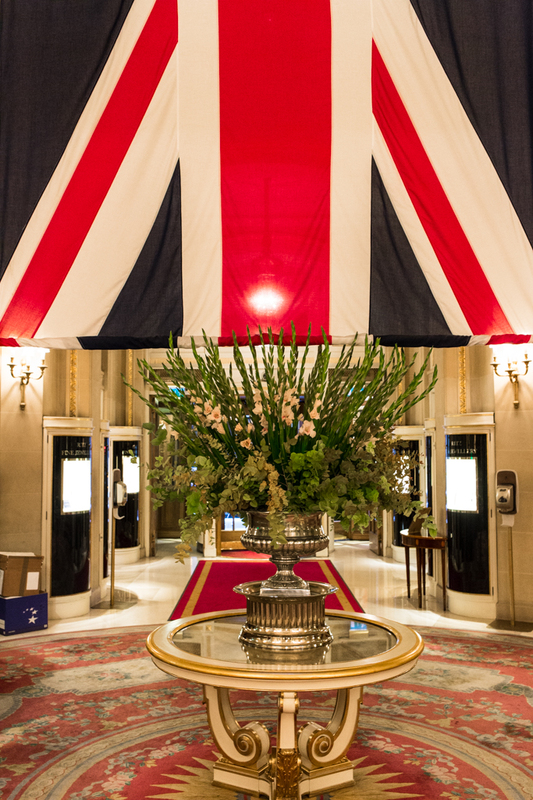 Well, fitting for a hotel that has a royal warrant. Having had a peak in their restaurant, which only a few weeks ago won a Michelin Star, I know I'll have to head back soon. Two words. Beef Wellington. Mmmm. But for my first visit, I really couldn't complain, as it was to be accompanied by Laurent-Perrier. You'll probably know by now I'm a huge fan, having worked many times before, but also drank for personal pleasure. 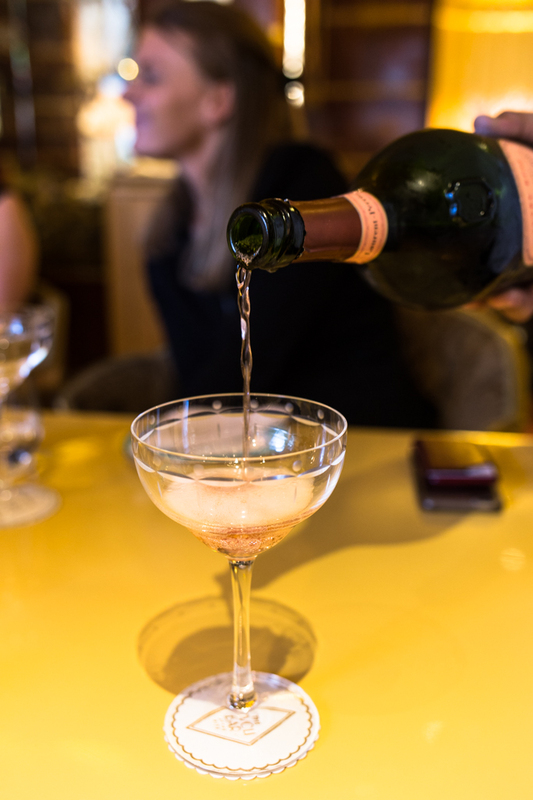 Laurent-Perrier means quite a lot to me now, having celebrated over, laughed and also cried over a glass or two. I think it's really important to find something that evokes memories and Laurent-Perrier certainly does that for me. 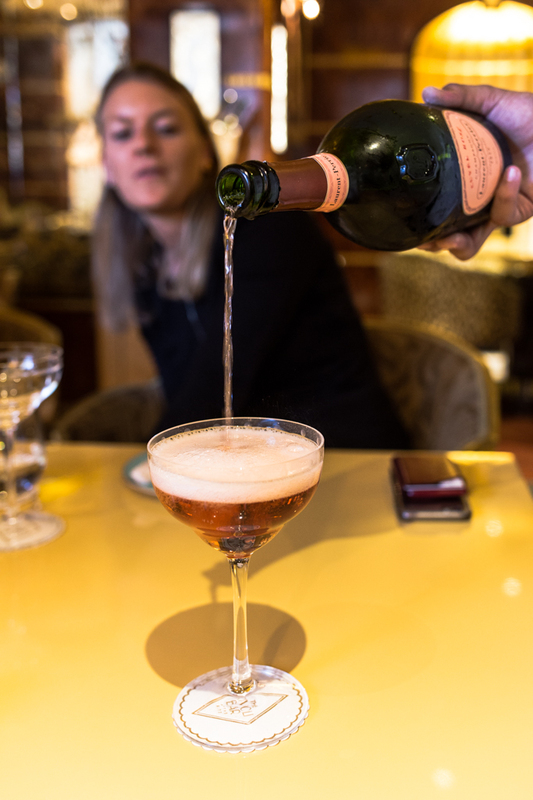 The month of October, Laurent-Perrier is the champagne of the month at the Rivoli Bar at The Ritz, and to mark the occasion the bar is decorated with touches of pink inspired by the pink of the Laurent-Perrier Cuvée Rosé and gorgeous pink flowers by Paul Thomas Flowers. 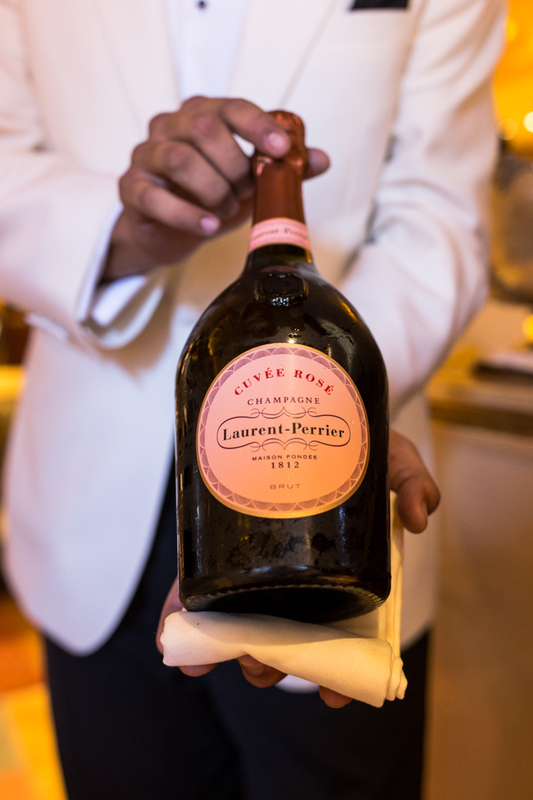 If you haven't tried Laurent-Perrier Cuvée Rosé I really would recommend it. It's one of those drinks that's sweet enough to really love and genuinely enjoy, but not sickly that you feel like two gulps and it's gone. 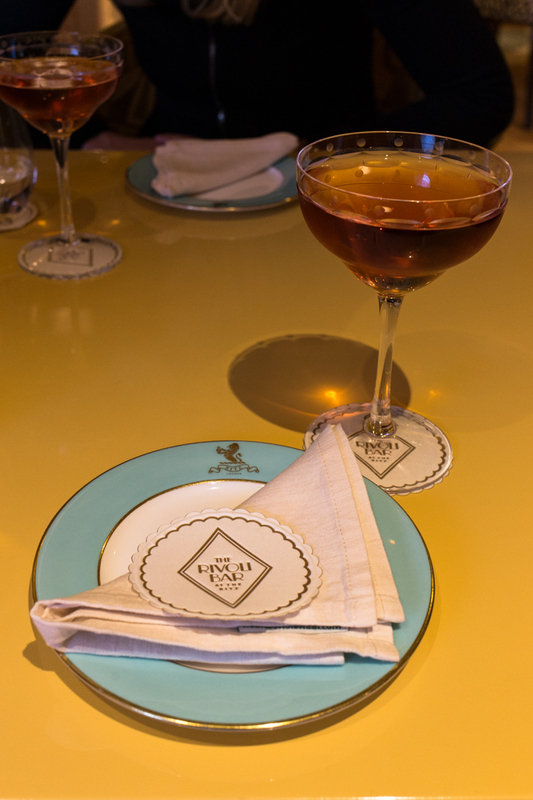 If you think The Ritz might not be your usual first choice for a afternoon drink, I'd reconsider when you take into account the Rivoli bar. Don't get me wrong it's not casual by any means, but it's definitely more of a place where you can just got for a few cocktails with the girls. 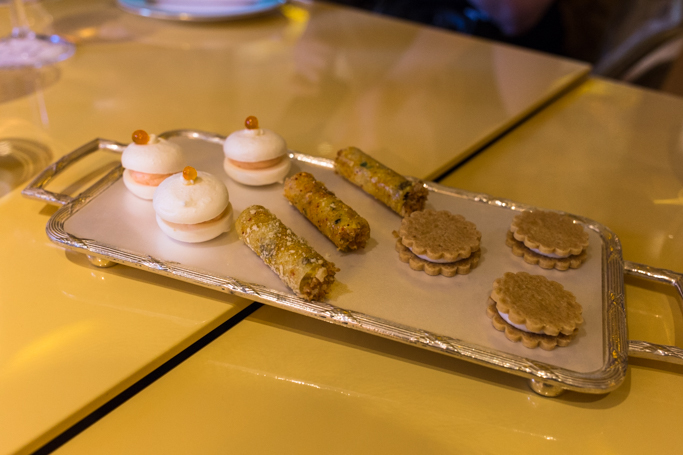 After a few glasses of champagne and some good catching up, we ordered some canapes from the bar menu. 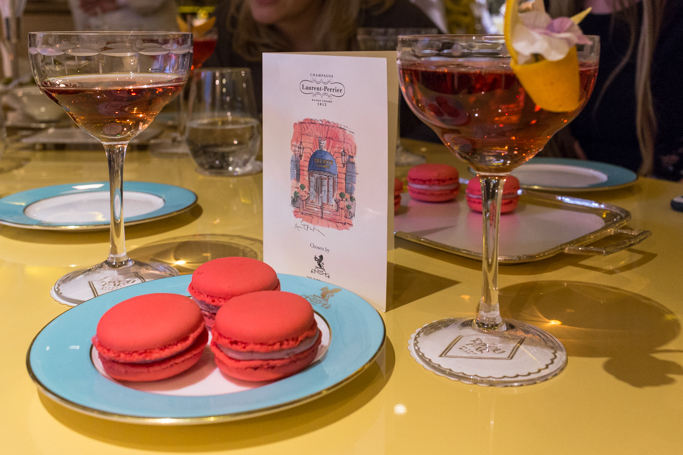 True to form, it was a mixture of British and French elegance. I adored the coronation chicken rolls and the goats cheese biscuits. But the best is the Laurent-Perrier specials. 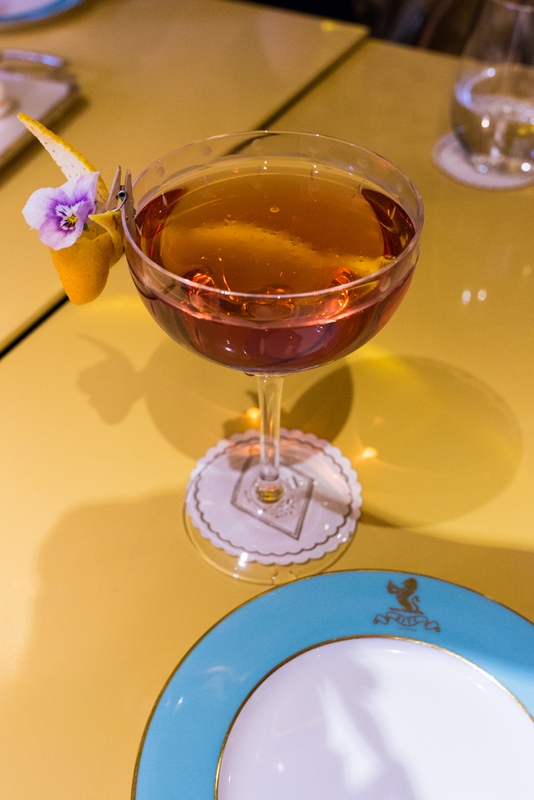 The floral fizz cocktail made with LP Rose, Bombay sapphire and absinthe is quite something. It's not a drink you are going to keep drinking again and again, but it's certainly got a punchy flavour. 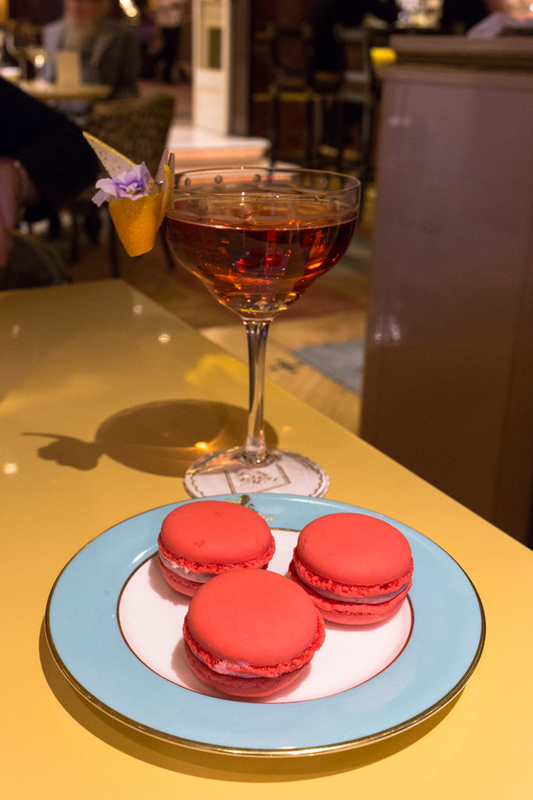 Plus they do paired rose macarons which I honestly can say were some of the best I've ever had. They were incredible. What was only meant to be a few drinks with friends, ended up into a rather long catch up into the night. But well, I'm not complaining at that. Another round of those macarons and I'm good to carry on for hours more. 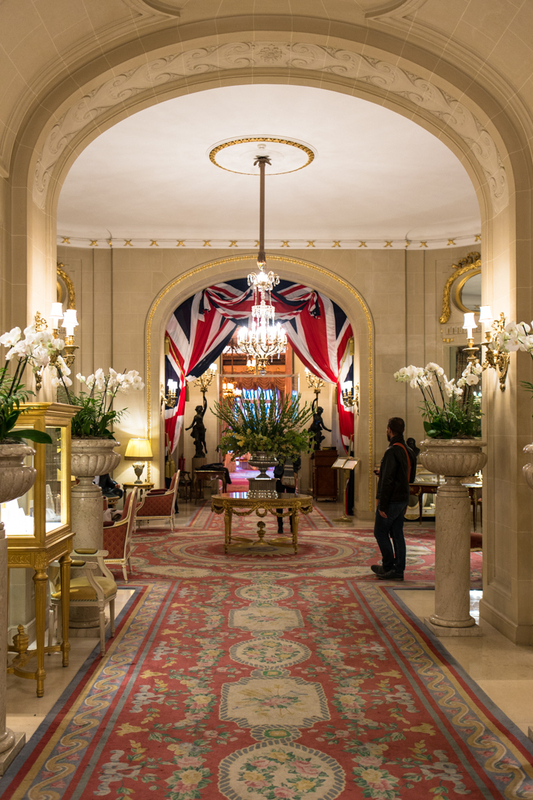 I'd definitely try and pop down this month to catch the partnership of Laurent-Perrier and The Ritz. You won't be disappointed. 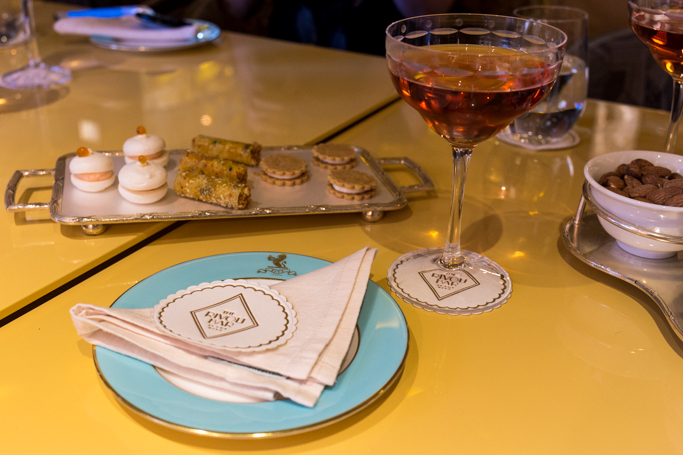 Looks like my kinda catch up, I've always wanted to visit the Ritz! Oh wow! Look at the decor on this place! How amazing is that! Sounds like you had a lovely evening! The food looks delicious as well!